Baker County Blog: Baker Bighorns "Blinking Out," "Lords of Nature," plus Hillary Clinton on the "Jewish State"
Baker Bighorns "Blinking Out," "Lords of Nature," plus Hillary Clinton on the "Jewish State"
- Baker Bighorns "Blinking Out"
Our Hells Canyon bighorn sheep are suffering severe population declines from contact with domestic sheep that were, and are, presently allowed to be in the proximity of domestic sheep on public forest lands in the Payette National Forest across the river in Idaho. Rocky Mountain bighorn sheep were native in much of the mountain and canyon country, which currently comprises northeast Oregon and western Idaho. Historical accounts indicate that bighorns were numerous in and around Hells Canyon, main Salmon River, and the Wallowa Mountains. The Nez Perce Tribe has written that bighorns were the most plentiful large animal in the big river canyons of northeastern Oregon and west Idaho prior to European settlement. The archeological records in Hells Canyon shows that the Nez Perce people had an extended and extensive history of using bighorn sheep. We know they constructed stone corrals for the capture and containment of bighorns and stone blinds for hunting. They used the animals for their meat, hides for warmth, and the horns for spoons (ewes) and bow making (rams). Most petroglyphs and pictographs in Hells Canyon depict scenes of hunters and bighorn sheep. Bighorn sheep were a significant ungulate food item as well as of great cultural value to the Nez Perce Tribe in Hells Canyon. As European people settled the west, many of the activities either directly or indirectly had a negative impact on native bighorn sheep populations. In Hells Canyon, settlers quickly claimed every flat area with good soil, especially near the water. They brought with them flocks of cattle, horses, and domestic sheep. The flat areas were irrigated and turned into hay fields, while large gardens and orchards were adjacent to their homes. Domestic herds grazed most of the year on adjacent “Unclaimed Lands” (now mostly public lands). The mild climate in Hells Canyon usually provided year-round grazing. Most homesteaders greatly increased the size of their flocks to take advantage of free grazing and increase revenue. Grazing soon became out of control and severely damaged soil, vegetation, and water quality. One settler wrote in 1901 that if he was not the first one to get to the grass after the snowmelt, they got none there the rest of the year (Langston, 1995). Range wars were common, especially between cattle and sheep producers. By the turn of the century, the situation demanded desperate measures. In 1905, Teddy Roosevelt convinced Congress to establish the National Forest Reserves. The main purpose of the reserves was to stop uncontrolled grazing and timber harvest, and improve and sustain quality soil and water conditions. Also in 1905, the Wallowa Cheifton reported there were over 300,000 domestic sheep in Wallowa County (northeast Oregon), most of which grazed on National Forest. . . . .
Unregulated hunting, competition for forage with domestic livestock, and parasites and diseases introduced by domestic livestock were all factors which lead to the elimination of bighorns in Hells Canyon. Today, research has shown that pneumonia caused by a biotype of bacteria called Pasteurella, which is transmitted from domestic sheep to bighorns, was the principal reason for the disappearance of bighorns in Hells Canyon and throughout most of the western United States (Martin et. al., 1996). See this article's title link above for more. . . Recently, a Baker City neighbor told me about the abundant bighorn population, as well as viewing and photography opportunities that existed down in Hells Canyon from below the Hells Canyon Dam to the Sheep Mountain area of Oxbow Reservoir and around Brownlee Dam. After a futile search recently for these bighorn, I spoke with the Oregon Department of Fish and Wildlife (ODFW) to see if I could improve my chances. That’s when I learned just how bad things had become since I’d seen my first Hells Canyon bighorn 8 or 9 years ago. According to ODFW, the Sheep Mountain population is on the verge of “blinking out” and there were only six or so bighorn left in the Hells Canyon Dam area, which I believe is the “Upper Hells Canyon” population. ODFW had recently completed their winter bighorn minimum population census and found that there were only about nine sheep left in the Sheep Mountain herd, falling to this level from a high of 87 animals in 1999, after the initial transplant of 30 animals in 1991. ODFW indicated since disease issues related to domestic sheep allotments started in 1999, only 2 offspring have survived, with most dying within a month or two of birth. and intense artificial selection. Because they are so closely related, bighorn sheep are thought to be highly susceptible to diseases carried by domestic sheep. 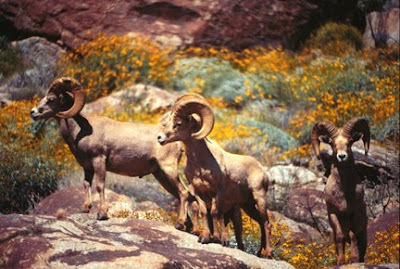 domestic sheep and bighorn sheep must be kept separated in order to maintain healthy bighorn populations (e.g., Foreyt and Jessup 1982; Goodson 1982; Onderka and Wishart 1988; Foreyt 1989; Desert Bighorn Council Technical Staff 1990; Callan et al. 1991; Cassirer et al. 1996; Martin et al. 1996; USDI Bureau of Land Management 1998; Bunch et al. 1999; Singer et al. 2000a, 2000b, 2000c, 2000d; Monello et al. 2001; Schommer and Woolever 2001; Singer et al. 2001; Dubay et al. 2002; Garde et al. 2005). So, once again, the American people are sacrificing their wildlife heritage for the profit of a few public lands grazing permittees, their employees, and any taxes to be derived therefrom, minus the huge costs associated with managing the allotments. 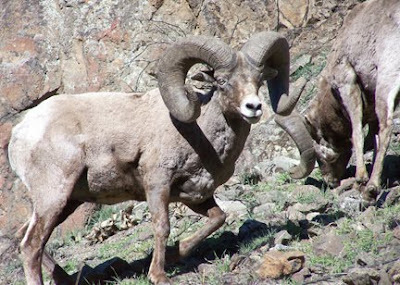 Comments were due today on the updated Payette National Forest draft supplementary environmental impact statement on their plans for management of domestic sheep allotments in the area inhabited by bighorns. These are my comments on the Payette National Forest’s (“PNF”) Draft Supplemental Environmental Impact Statement on Bighorn Sheep Viability (“DSEIS”). I cooperate with the Hells Canyon Preservation Council (HCPC), the Western Watersheds Project (WWP), and the Oregon Natural Desert Association (ONDA). I am aware of the views of HCPC and WWP and agree with their view that Alternative 7E should be selected. I have read the comments by Debra Ellers and the WWP. I agree with and support those comments. Since my early youth, I have been fortunate to become acquainted with bighorn sheep through observation while traveling in the western U.S. and Canada. I have been concerned about their viability and ultimate survival since becoming aware of the struggles for survival of endangered Peninsular bighorn sheep during my years in California. In 2001 or 2002, while on a jaunt to Hells Canyon from Prairie City, Oregon, I encountered a collared and bedraggled looking ewe on a trail along the rim in what was the Mc Graw herd area. While aware of disease transmission between domestic sheep, other livestock, and bighorns at the time, I had no idea of the tragedy that had been inflicted on the re-introduced Hells Canyon populations, including the McGraw herd, through contact with domestic sheep in the 1990’s and earlier parts of this decade. After I moved to Baker City, my neighbor told me about the abundant bighorn population and opportunities viewing and photographing them down in Hells Canyon from below the Hells Canyon Dam to the Sheep Mountain area of Oxbow Reservoir and around Brownlee Dam. After a futile search recently for these bighorn, I spoke with the Oregon Department of Fish and Wildlife (ODFW) to see if I could improve my chances. That’s when I learned just how bad things had become since I’d seen my first Hells Canyon bighorn 8 or 9 years ago. According to ODFW, the Sheep Mountain population is on the verge of “blinking out” and there were only 6 or so bighorn left in the Hells Canyon Dam area, which I believe is the “Upper Hells Canyon” population. ODFW had recently completed their winter bighorn minimum population census and found that there were only about nine sheep left in the Sheep Mountain herd, falling to this level from a high of 87 animals in 1999, after the initial transplant of 30 animals in 1991. ODFW indicated since disease issues started in 1999, only 2 offspring have survived, with most dying within a month or two of birth. After reading the Risk Analysis of Disease Transmission Between Domestic Sheep and Bighorn Sheep on the Payette National Forest, (Payette National Forest, February 6, 2006), it appears that contact with domestic sheep on allotments or driveways within the Payette National Forest, is responsible for these unnecessary population declines. According to the observational narrative in the report on pp. 7 and 8, some animals in the McGraw herd were crossing over to the Idaho side domestic sheep allotments and becoming sick from pneumonia. It also says that the McGraw herd began dying in the fall of 1999, and that two of them had also been observed mingling with Oregon’s Sheep Mountain herd that year, the year the Sheep Mountain herd die-off began. (The assumption being that the individuals from the McGraw herd could have transmitted the disease contracted originally from domestic sheep, to the Sheep Mountain herd. Figure 3-6, Telemetry Data and Observations of Bighorn Sheep near the Payette National Forest, on p. 3-16 of the recent Update to the DSEIS (Update), confirms that two modes of transmission are possible: One of direct contact between bighorn and domestic sheep, and another of inter-herd re-transmission from bighorn to bighorn. These things lead me to believe that the Payette National Forest (PNF) should choose Alternative 7E, which would not allow domestic sheep grazing or trailing routes within the PNF, because that alternative offers the best chance for maintaining bighorn viability and compliance with the National Forest Management Act (NFMA). - It is the only alternative that prevents interspecies contact, thus preventing re-initiation of disease cycles from the original and major source for disease transmission. In discussing the Contact Model on p. 2-11, the Update states that “Alternative 7E is the only alternative that prevents interspecies contact,” which eliminates the original and recurring source of the disease problem. The preferred Alternative 7G does little to remedy the contact problem, as the Update admits on p. 2-11: “Alternatives 1B257, 346, 7G and 7L have moderate to high contact rates that involve four to seven of the populations.” Over half (56%) of the nine alternatives do a better job of preventing contact than the preferred Alternative 7G. - On p. 2-16 of the Update, it also states that “Alternative G is in compliance with the HCNRA CMP by maintaining a separation between bighorn and domestic sheep that is likely to keep the two species apart at the current population levels. If the population levels of bighorn sheep increase, the likelihood of contact may increase and this evaluation may need to be revisited.” First, I found no evidence in the update that supports the first assertion, even at current population levels (please point it out if it is there). Additionally, keeping the populations at their current depauperate levels can hardly be seen as complying with the HCNRA Act or “its implementing regulations by providing for the protection, restoration, and maintenance of bighorn sheep and their habitat.” It is already clear that some populations, like the Sheep Mountain population are doomed to extirpation in the short term. Restoration implies an expansion of at least some populations, so dealing with the eventuality is best addressed by Alternative 7E, not by promising to revisit the subject at some future date. - The economic analysis of portion of the Update on beginning on p. 3-89, particularly that under the heading “Income, from Sheep and Lamb Production in Idaho,” p. 3-92&94, while interesting, seems woefully inadequate, and/or irrelevant in many areas. The analysis needs to focus on the income (including income of the permittees), and taxes, derived from the use of the allotments in question, not on what comes from some counties or the whole state. It should also focus on actual use, not permitted use. It should compare the economic benefits of the sheep allotments to all the costs, including program administration cost, environmental rehabilitation costs, and to the loss of recreational tourist dollars in both Oregon and Idaho (among other costs), and show them clearly in a table, so that readers don’t become lost in pages of seemingly irrelevant statistics. Having started very late on these comments, there is simply no time left for more of them. Again, I agree with HCPC and WWP that Alternative 7E should be implemented by the Payette National Forest to best provide for bighorn protection, viability, and restoration. Thank you for consideration of these comments. Please keep me on your mailing list for any further communications, and particularly, the Final SEIS. 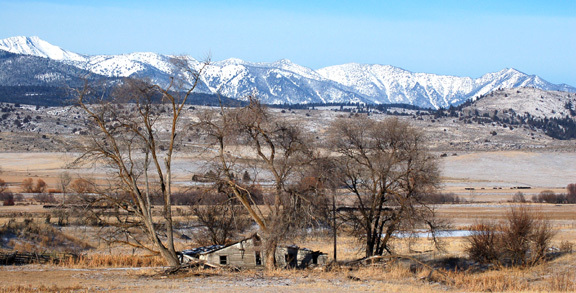 Baker City - 9:00 a.m., Whitman Ranger District, 3285 11th Street. Enterprise - 3:00 p.m., Wallowa Mountains Office, 88401 Highway 82. Dr. Beschta has taught and conducted research on a wide range of natural resource issues related to forest and rangeland ecosystems for over 36 years. Since 2001, his research has focused on the role of large predators and trophic cascades in western ecosystems. His presentation will summarize the results from six widely separated National Parks, including Yellowstone, where large predator removal/displacement occurred and the potential implications of these results to other public lands in the West. Each talk will be 45 minutes to one hour long, followed by a 30-minute question and answer period. The public is invited to attend. For additional information call Suzanne Fouty at 541-523-1944 (Baker City) or Trisha Johnson, at 541-426-5572 (Enterprise). in Baker City and Enterprise. ". . . we are determined to keep moving forward along a path that ensures Israel's future as a secure and democratic Jewish state living in peace with its Palestinian and Arab neighbors." -Hillary Clinton at AIPAC Conference, march 21, 2010"
Can you imagine what what the response would be from the mainstream media and others if a white gentile Christian leader had suggested to Americans that "we are determined to keep moving forward along a path that ensures America's future as a secure and democratic Christian state living in peace with its neighbors"? New York, NY, October 1, 2007 … The Anti-Defamation League (ADL) today urged Senator John McCain to reconsider and withdraw his statements describing the United States as a "Christian nation" and a "nation founded on Christian principles." The remarks were made in an interview posted on Beliefnet.com. "Senator McCain's statements were disappointing and disturbing to say the least," said Abraham H. Foxman, ADL National Director. "We would have thought that a senator as experienced and respected as John McCain would place himself above such divisive appeals to religious intolerance. His remarks were inaccurate and ill-advised for any candidate seeking to lead a nation as religiously diverse as ours." In a letter to Senator McCain, ADL said that he was correct to note in the interview that the Founding Fathers unequivocally believed in the separation of church and state. However, the letter went on to say, "Absolutely nothing in the Constitution establishes that the U.S. is a Christian nation, nor is it accurate to say that this nation was founded on Christian principles." The League called on McCain to reconsider and withdraw his statements to that effect. "Appeals to voters based on religion are invariably divisive and contrary to the democratic ideals upon which our nation was truly founded," the letter said. As a 501(c)(3) tax-exempt charitable organization, ADL is non-partisan and does not endorse or oppose any candidates for political office. Turns out that it’s all about the sequence, and Klein, the ZOA president, feels that Jews were unfairly downgraded to third place. In a press release, Klein reads into Obama’s decision to put Muslims before Jews (and Hindus and non-believers) in his speech. According to Klein, it is not a matter of prestige but of numbers, and since Jews outnumber Muslims in the United States, they should rightly hold on to their second place. “This is not a Muslim-Christian-Jewish nation, it is a Judeo-Christian nation,” he told the Forward. But if numbers and sequence do matter, here is a point Jewish observers who are worried about Islam beating Judaism for second place in the president’s eyes, should look at: A day after the inauguration, Obama attended the national prayer service, and guess what: There were three rabbis and only one Muslim representative. The United States of America is not a Christian country or state. The writers of the Constitution said, very wisely, that "Congress shall make no law respecting an establishment of religion, prohibiting the free exercise thereof." In other words, there will be no state church (such as the Church of England), but the people may worship according to their wishes, anytime and anywhere. A "country" is a geographical area inhabited by a certain people under a particular political government. However, the United States of America is a Christian nation. A nation is an aggregation of people bound together "by common ideals and a common purpose. A rich inheritance of memories and the desire to preserve those memories ... a nation is a spiritual entity brought into existence by complex historical conditions, by similar traditions and a similar imagination."